A Florida man faces multiple criminal counts after a stop for speeding led to charges for DUI, impersonating a police officer, and prohibited use of certain types of lights in a vehicle. The Palm Beach Post reported on the September 26, 2017 incident, when a Winter Gardens law enforcement officer observed a vehicle traveling 66 mph in a zone marked with a 35 mph speed limit, with red and blue lights flashing. Not recognizing the license plates as belonging to any law enforcement agency, the officer detained the driver of the car. When police requested the man to perform field sobriety tests, he agreed; he even confidently stated that he would pass since he had participated in bodybuilding events, including Ironman competitions. While being in shape wasn’t enough to beat the drunk driving charges, the story raises interesting issues about how physical factors may affect field sobriety tests in Florida DUI cases. Age: There is evidence that a person over the age of 65 years will have difficulty performing field sobriety tests even when sober. The results of the One Leg Stand and Walk and Turn tests may not be accurate. Injuries: Individuals with back problems, leg pain, or inner ear conditions may suffer from balance issues when performing the One Leg Stand and Walk and Turn tests. In addition, a person who experiences epileptic or other types of seizures may not give accurate results for the Horizontal Gaze Nystagmus test. Aside from a subject’s physical characteristics, there are environmental factors that may impact accuracy of the One Leg Stand and Walk and Turn field sobriety tests. The NHTSA recommends that these should be conducted on a reasonably dry, hard, level, non-slippery surface. Slick, wet, or uneven surfaces can cause the subject to falter, leading to erroneous findings on the test. Both a person’s physical condition and environmental factors may provide grounds to have field sobriety tests declared invalid, so the results may be thrown out of court. 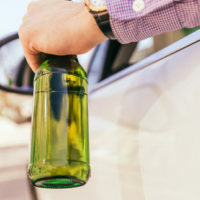 While police regularly use field sobriety tests in connection with drunk driving cases, the truth is that the results can be skewed by certain physical factors. If you were charged with DUI based upon your performance on such a test, your first priority should be to retain an experienced Florida criminal defense attorney. With the assistance of a lawyer, you can attack the field sobriety test results and develop a strong defense strategy. If you have questions about drunk driving charges or would like to discuss your case, please contact the Fort Lauderdale office of attorney Kevin J. Kulik.